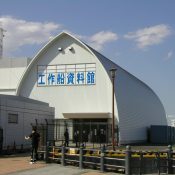 This joint Yokosuka Council on Asia-Pacific Studies-JUMP event began with an English-language guided tour of the Japan Coast Guard Museum in Yokohama followed by a presentation by Professor Narushige Michishita of the National Graduate Institute for Policy Studies on North Korea and its threat to Japan. A social lunch was then held at the Bashimichi Taproom. At this joint Yokosuka Council on Asia-Pacific Studies-JUMP seminar, Professor Andrew Oros discussed how Japan’s awakening to new security challenges has culminated in the multifaceted “security renaissance” of the past decade. He offered thoughts on the implications of that invigoration for the United States military. From a practical perspective, his remarks touched on both how the changes will influence regional security dynamics and suggest new opportunities for operational cooperation. 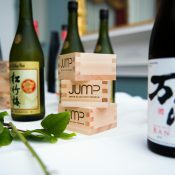 JUMP sponsored Japan Society of San Diego & Tijuana’s Beer & Sake Festival, on June 16, 2017 at Harrah’s Resort Southern California in San Diego’s North County. The festival is a popular and fast-growing charity tasting event, featuring local restaurants serving sumptuous appetizers, and breweries pouring tasty beers and sake. The festival also included art booths, a silent auction, a raffle, and exciting entertainment. JUMP and the Japan Society of San Diego & Tijuana hosted a breakfast reception in San Diego at the Bay View Restaurant aboard MCRD San Diego. 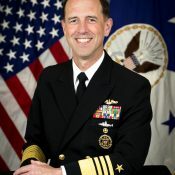 The event featured talks from local military and civilian leaders as well as Ambassador James Zumwalt, former Deputy Chief of Mission at the American Embassy in Tokyo. The event coincided with a Japan Maritime Self Defense Force ship visit to San Diego. 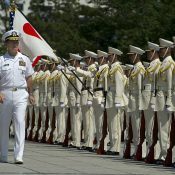 Japanese service members participated alongside their American counterparts. 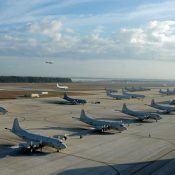 JUMP held a reception with Naval Air Station Mayport in Jacksonville, Florida on June 13 as a celebration of the U.S-Japan Alliance. The reception was organized by the Consulate General of Japan in Miami. JUMP and the Japan-America Society of Hawaii hosted a day of learning and engagement along with U.S. service members who have served in Japan, Japanese officers of the Japan Maritime Self Defense Force and members of the community with an interest in U.S.-Japan defense and security issues. 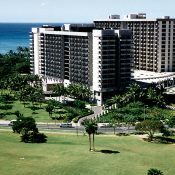 The program took place in Honolulu, Hawaii, at the Hale Koa Hotel and the Daniel K. Inouye Asia Pacific Center for Security Studies (APCSS). At this joint Yokosuka Council on Asia-Pacific Studies-JUMP seminar, Grant Newsham discussed the security dynamics at play in the East and South China Seas. He argued that the United States and its allies have unnecessarily ceded standing and power by accommodating Chinese aggression and missing opportunities to take an appropriate stand for international law and the rights of smaller nations. 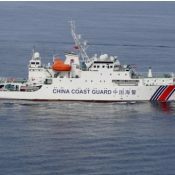 However, in his analysis, there may still be opportunities for the United States and its key partners to insert risk and uncertainty into China’s thinking over its continued unrestrained militarization and moves to dominate the region. 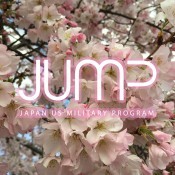 For the second year running, JUMP joined in at the Sakura Matsuri Japanese Street Festival in the Capitol Riverfront Neighborhood of Washington, D.C. It’s the largest one-day celebration of Japanese culture in the U.S.! Held the same day as the National Cherry Blossom Festival’s annual parade, this rain-or-shine event brings vibrant performances to four stages and welcomes more than 80 cultural groups, arts vendors, and food booths to the celebration. JUMP once again hosted the traditional Japanese festival game of “kingyo sukui” — goldfish scooping — but this time with an added twist of difficulty! At 66%, Japan’s female labor participation rate is at a 15-year high. Yet, in 2016, Japan slipped to 111 of 144 countries in the World Economic Forum’s gender equality rankings, a fall of ten places since 2015. Japan is the lowest ranked among the Group of Seven major industrialized nations. Among the reasons for this poor ranking is the role of women in public life and their status in professional and technical fields. This public event featured a distinguished panel of women who discussed the issues.